If you’ve only got one wired Ethernet connection and a room full of internet-starved laptop users, you can quickly create WiFi hotspot to turn your laptop into a virtual WiFi router with Free WiFi Hotspot. It is Windows based software, which turns your Laptop into a wireless router. Now, just make a password-enabled WiFi hotspot for your friends and neighbors to connect to without a wireless router. 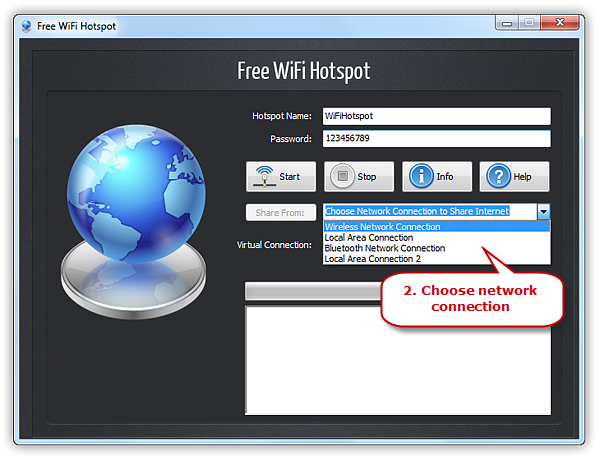 Launch Free WiFi Hotspot and enter a name under “Hotspot Name” and a minimum 8-digit password under “Password” for your network security. Click “Share from” to choose the network connection from internet connections like DSL, Cable, Bluetooth, Mobile Broadband Card, Dial-Up, etc. 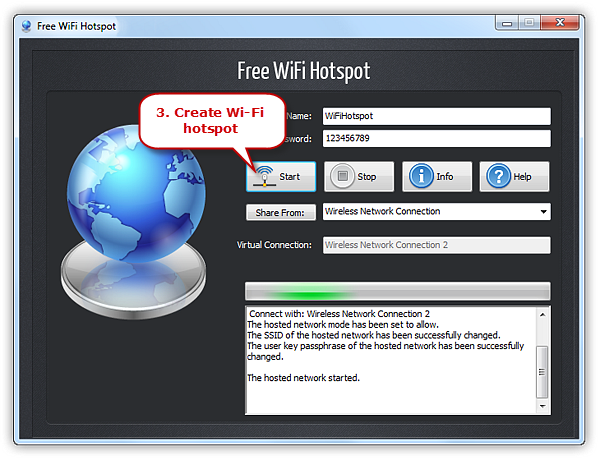 Click “Start” button to create the Wi-Fi hotspot and within seconds the hotspot you create with the name you set can be detected by your device. 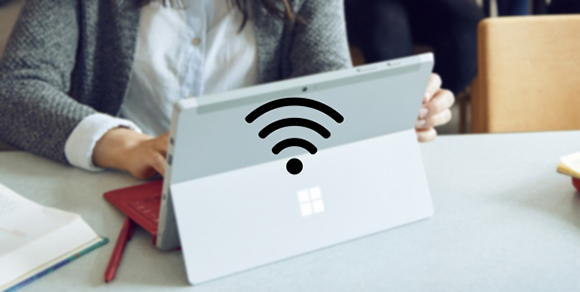 Now you can share the Internet connection wirelessly with anyone who has the password you create. Q: What if I can’t log in? 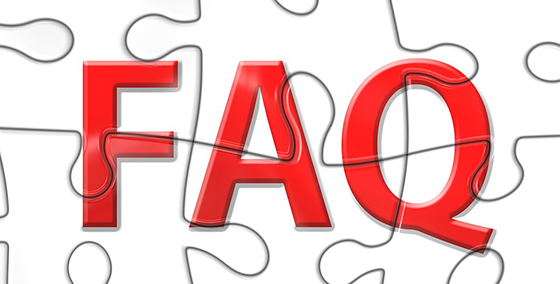 A: First, check the available hotspots and make sure “freewifihotspot” or other ID you set on the network list. If the “freewifihotspot” network is indeed on the list but you still can’t get connected, then, check your WiFi-enabled device and see how many signal bars it presents. If there are just one or two bars, you need to move closer to the signal. If the above methods can’t solve the problem, make sure you get the right ID and password.